Steel carriage house garage doors with the look of real wood. Energy efficient and low-maintenance, made of fiberglass and steel. is committed to treating customers like family throughout the entire buying process. This is our competitive advantage over other door companies. Essentially, any company can sell certain products and find people to install those products, but integrity goes a long way and is something that is not easily achieved. We are focused on continually strengthening the intangible aspects of our business, as expertise in the tangibles has already been achieved throughout the many years we have been in business. What does treating customers like family really mean? It means not taking advantage of others by being honest, and genuinely caring about what each customer wants. There have been many instances where customers have called in to have garage door repair done only for us to arrive and conclude that the service they are requesting is actually not even needed. Most other companies would charge customers for unnecessary items and too much time for labor. However, we are 100% honest and will only charge you for only the needed materials and only the required time for labor. In addition, we do not upsell as many other companies will try to do. There have been instances where customers think a new garage door is needed when it really isn't - maybe just a section needs to be replaced. We get the job done for you at the least expensive price! When we go on estimates, we listen to customer wants and desires. We don't try to sell you a more expensive door. You won't ever leave the showroom with a different door than what you had in mind unless you learned about a new product or design benefit that you weren't aware of before. Integrity and honesty go hand in hand. If we have service contracts with commercial customers, you can bet your monthly service will be performed. You will never pay for services not performed! These are just a few examples out of the many over the years where Bridgewater Overhead Doors' integrity shines. Please also navigate to our testimonials page, which can further testify to our integrity and good work. Do your research before committing and choosing a company! 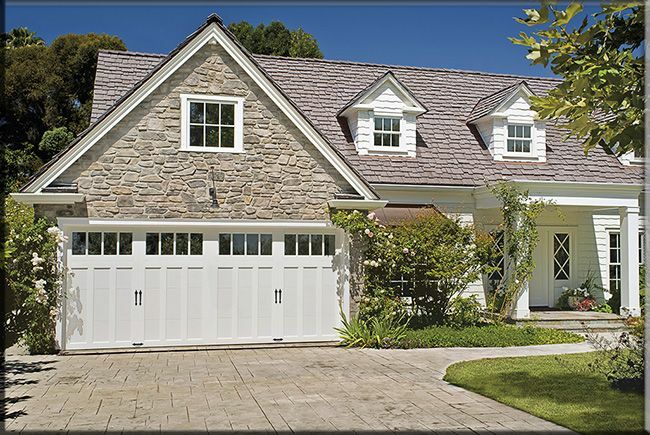 Changing your garage doors can be a hefty investment and you want to be in good hands! Bridgewater Overhead Doors is a Clopay Master Authorized Dealer, recognized as a market leader both locally and throughout Clopay's dealer network. We are dedicated to providing superior levels of professional expertise adn responsiveness in sales, installation and services.